New Year, New You!… and New Tattoo? With every new year come new adventures. Perhaps you’re looking to add to your tattoo sleeve or maybe you’re due for your first tattoo. Regardless of how many tattoos you do or do not have there are always certain standards you’ll have to follow if you want to have the best experience possible. 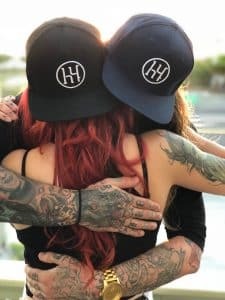 We’ve curated a collection of a few of the most helpful articles we’ve found over the years as well as a few of our own blogs dedicated to the tattoo experience. Whenever you plan your next session make sure to keep the basics in mind and always keep extremely high hygienic standards. Not only will your immune system be thankful, but your pocket will be too. These articles will help you keep your ink in top shape for as long as possible, and don’t forget Hush is here for you every step of the way.